Jean-Yves Duclos. Picture credit to: The Star. After the cancellation of the Ontario basic income experiment, country-wide discussions about the issue continues in Canada as the Federal Government approaches the policy, although a direct intervention in Ontario is unlikely. Prime Minister Trudeau and his Social Development Minister Jean-Yves Duclos have already stated that the Federal Government does not intrude into regional policy programs. 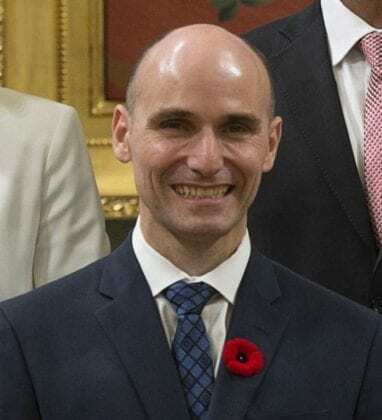 However, Duclos has said, this month, that existing benefits will eventually cover more people than those already eligible for state (not universal) guaranteed minimum income. In his words: “At some point, there will be a universal guaranteed minimum income in Canada for all Canadians”. So, despite all the opposition, rallies and advices against the Ontario axed basic income experiment, apparently it is indeed buried. However, it seems, interest in the concept is higher than ever, which is not surprising since the causing needs are still there (poverty, bureaucratic conditional welfare, precariousness, unemployment). Pundits on television agree over the concept, while looking at it as a tool to reduce the government influence radius (a more conservative approach to basic income), but certain that other basic income pilots will effectively be tried out in Canada (if not by other reasons, for beefing up the liberal agenda). Trudeau, on his end, has expressed sympathy for basic income, as a way to support workers, giving people some stability. That and a myriad of other considered policies, according to him: “I don’t think I’d be speaking out of turn to say that [basic income] it’s still something that is in the universe of all sorts of tools that we’re looking at on how to best help Canadians”. Even though the Federal parliamentary budget office has calculated that supplying a guaranteed financial floor to all Canadians (up to an average of CAN$ 9421/year) would implicate an expenditure rise on social benefits of around 30%, basic income captures interest even on the Conservative side of the political spectrum. Karen Vecchio, MP for the Conservatives, has favoured the concept, although rising cost implications and questioning eventual long-term benefits for Canadians. That’s exactly why Hugh Segal, one of the Ontario basic income experiment designers (and former Conservative senator), affirms that such pilots are necessary: “to figure out whether the idea works”. Segal, as well as Jagmeet Singh, leader of Canada’s New Democratic Party, argue that the Federal Government should pick up the cancelled Ontario basic income experiment, or at least help in financing further regional pilots.